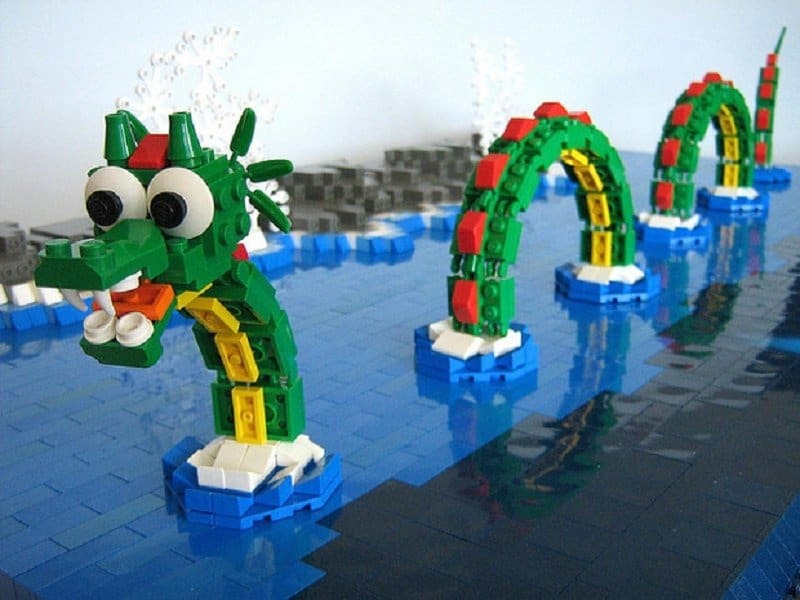 Lego bricks have become more than just ordinary toys designed to entertain children. It is a matter of art, design and sculpting. People all over the world use Lego bricks to create unique designs or replicas of modern art pieces. The creativity of others has provided stunning Lego displays that you may have seen featured in movies or on television. The list below showcases some of the most unique designs ever to be created using Lego bricks. 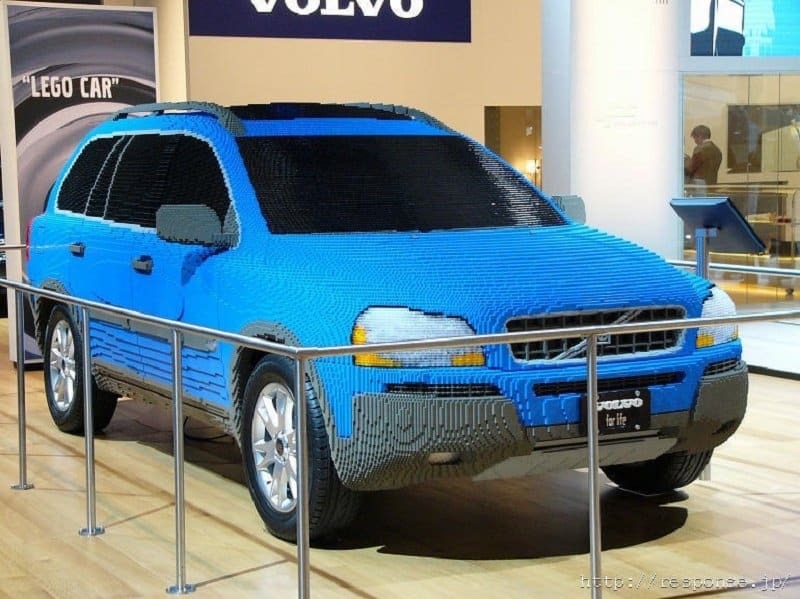 This is the official model Lego car used at Legoland California. It was constructed by several master Lego builders. 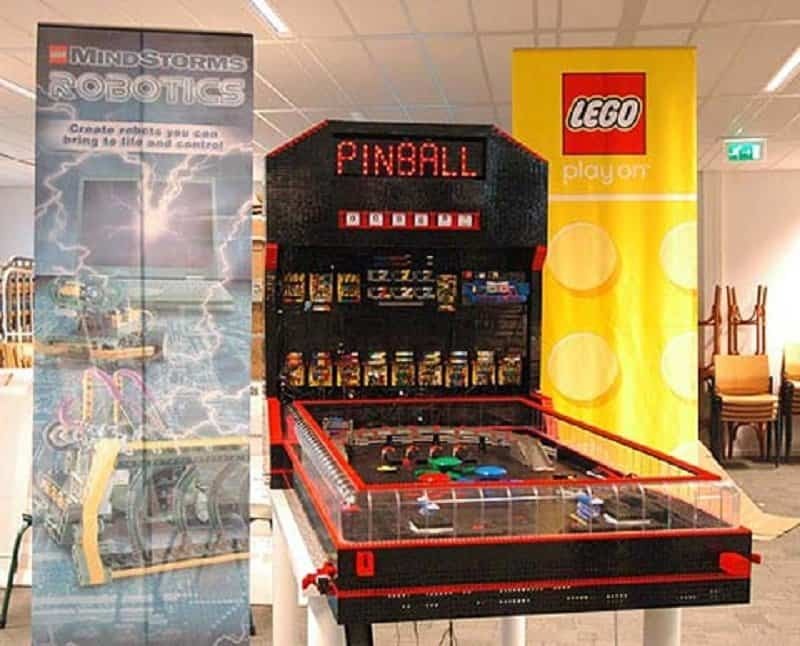 This Lego Pinball machine is fully operational with a coin slot, bumpers and digital display. 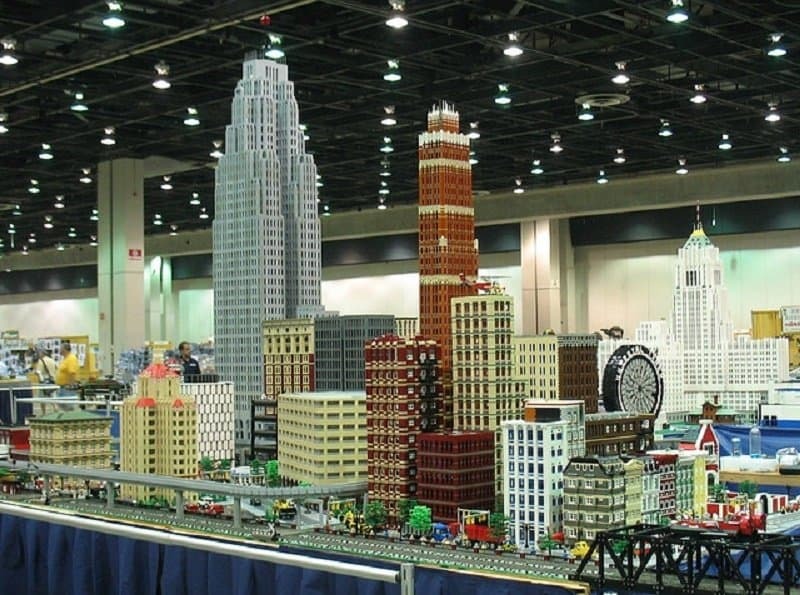 This Lego creation depicts the downtown city of Detroit, Michigan. The tallest building reaches over 10 feet in height. 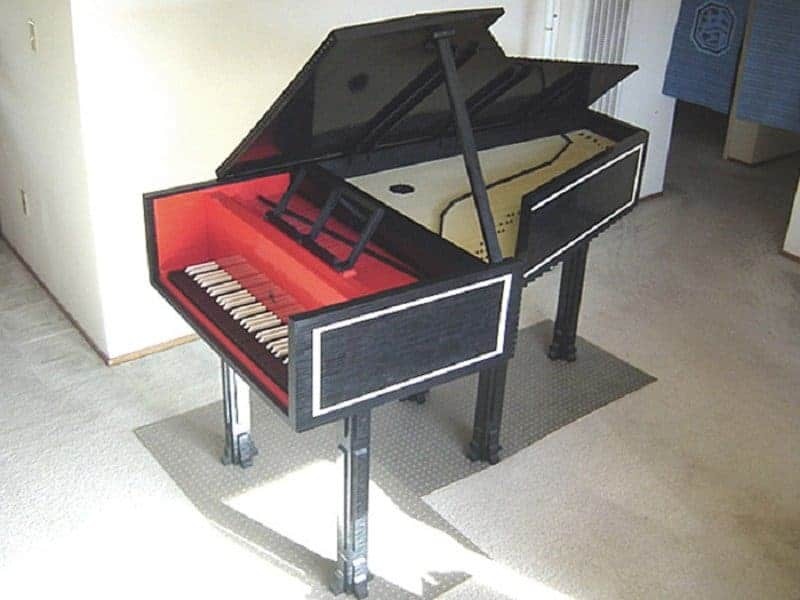 Over 10,000 Legos were used to build this Harpsichord. It weighs over 150 pounds and can create 61 different tunes. 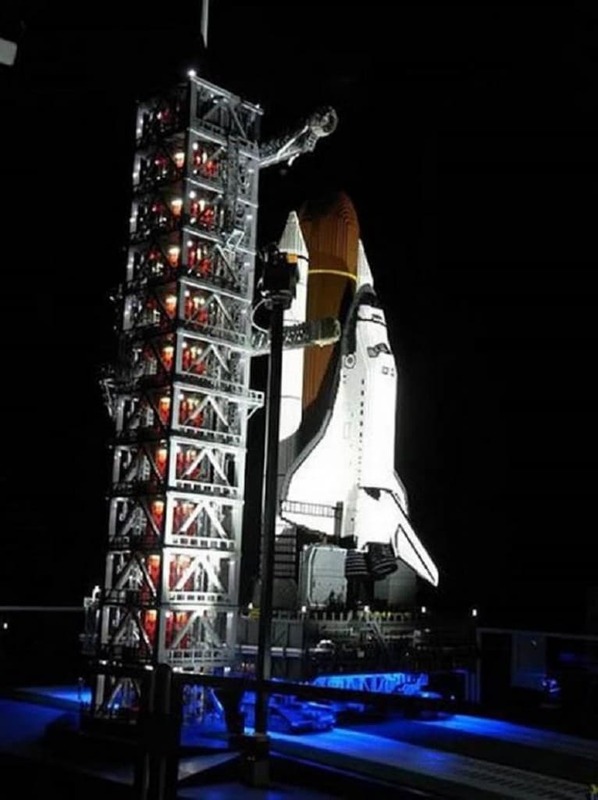 The Space Shuttle was created using 65,000 Lego pieces and took over 1,500 hours to construct. 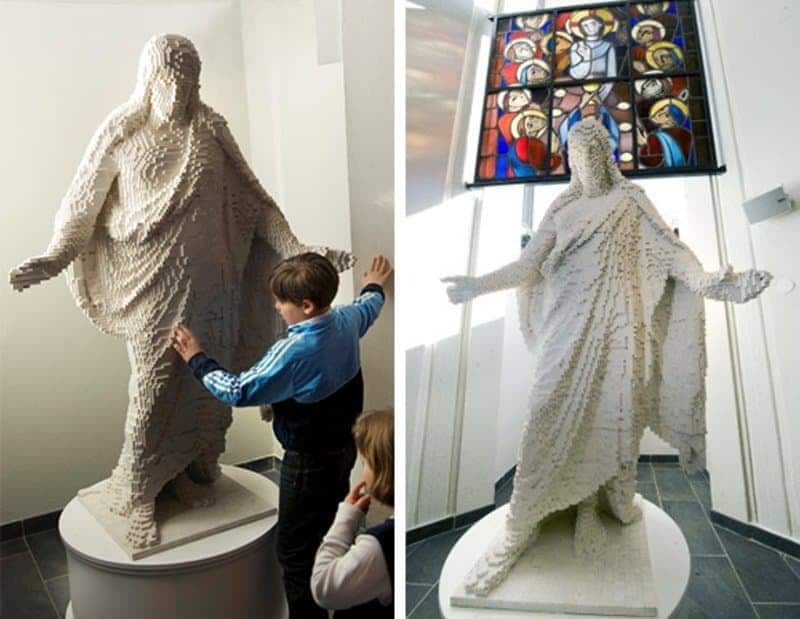 A church in Sweden created a life size statue of Jesus using over 30,000 Lego pieces. It took around a year and a half to put together before it could be displayed in the church. 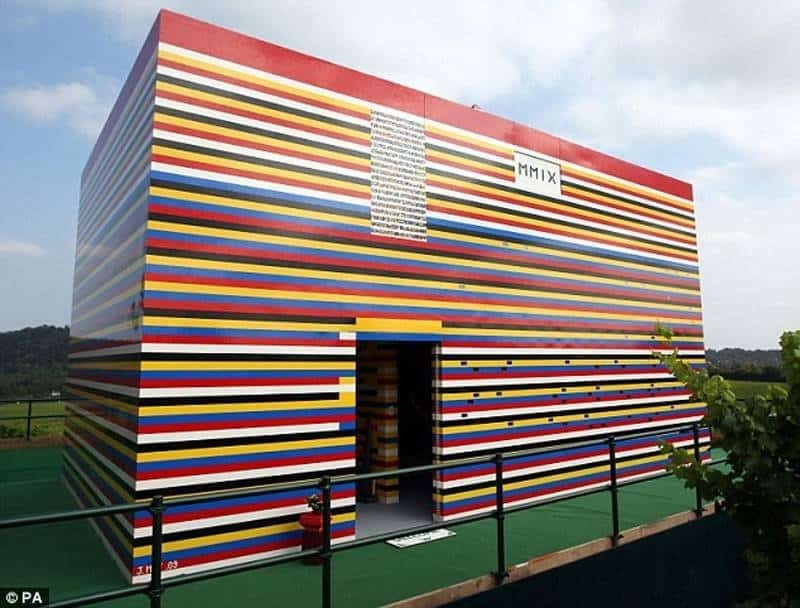 One man decided to create a real house out of Lego pieces. He had the assistance of over 1,000 volunteers and used around 3 million bricks to complete the design. The aircraft carrier was designed to be a 23-foot replica of the SS Intrepid. 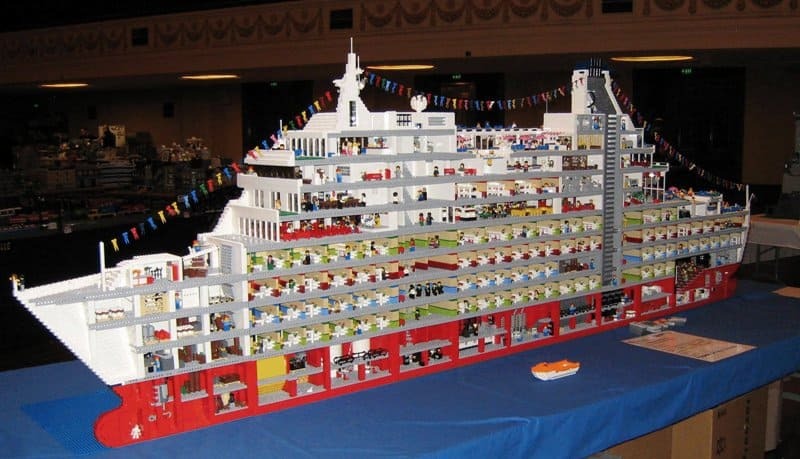 It weighed over 350 pounds and 300,000 Lego pieces were used to construct the ship. 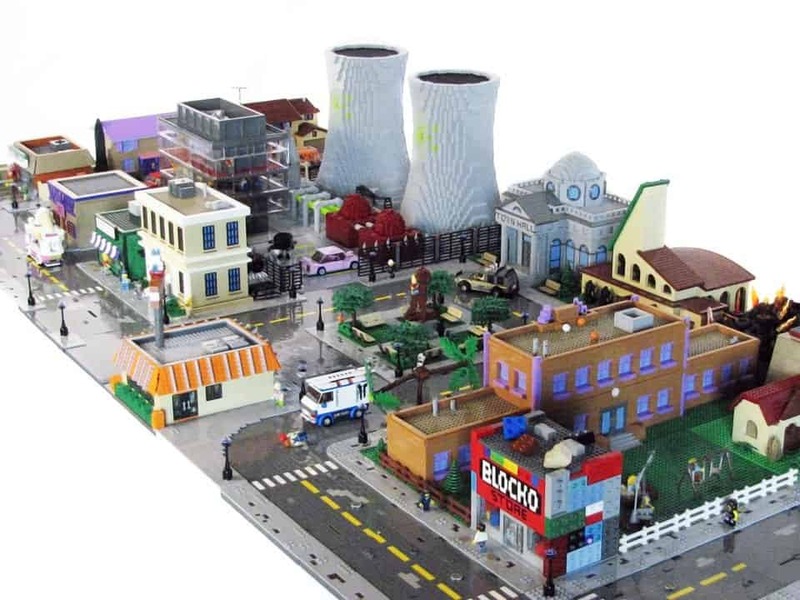 The Simpsons town of Springfield design was created by Lego artist Matt De Lanoy. The set includes iconic Simpson landmarks such as Kwik-E-Mart, Moe’s and the Krusty Burger. This Lego design took 170,000 Lego bricks to create. The length of the set is averages 30-feet and weights over a half ton. 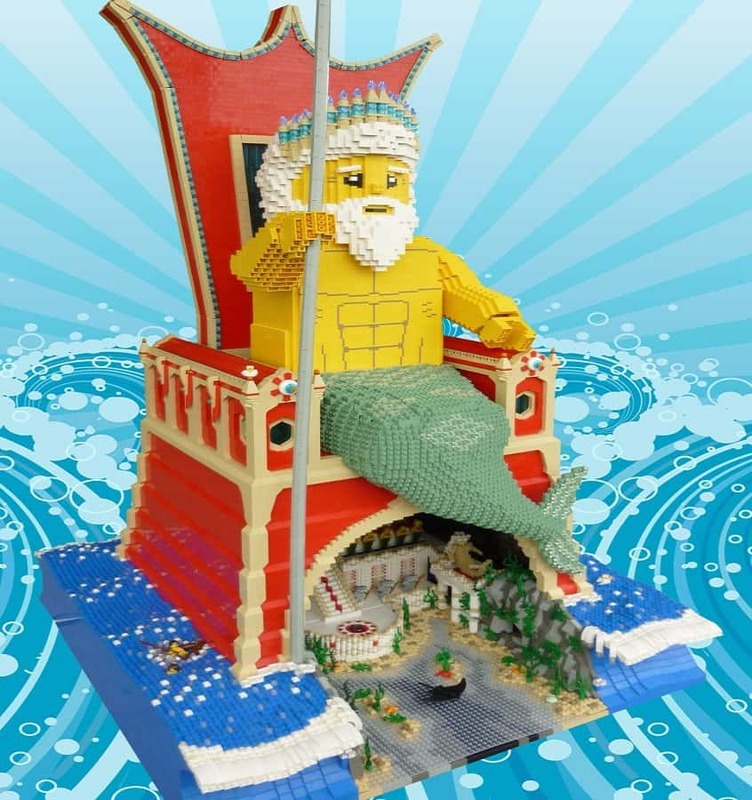 The Vancouver Lego Club’s Mythology exhibit at the Surrey Museum created the Poseidon display. Bram Lambrecht created the female Lego sculpture using software LSculpt to convert the lines and triangle mesh to provide a human element to the design. The boat was designed and created by professional Lego builder Ryan McNaught. It is over 10 feet long and 5 feet high. 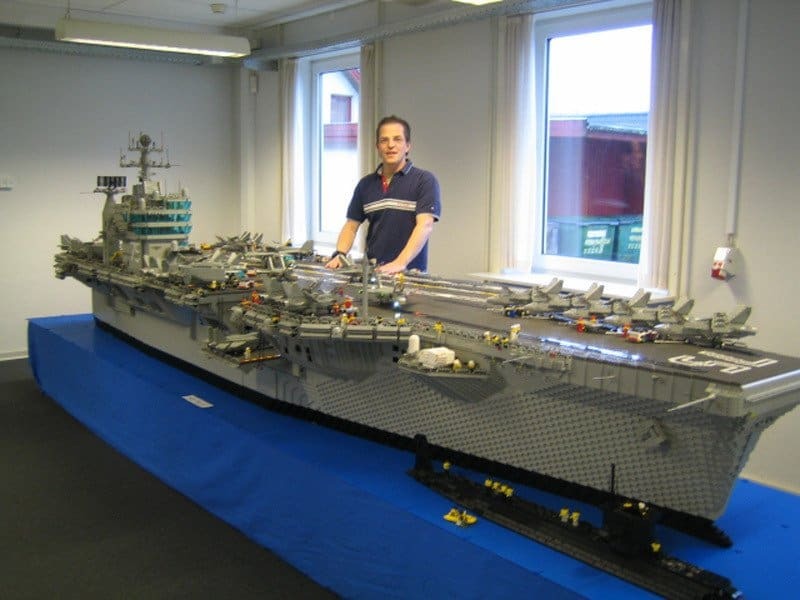 McNaught used over 250,000 Lego pieces to create the boat, which took him six months to finish. 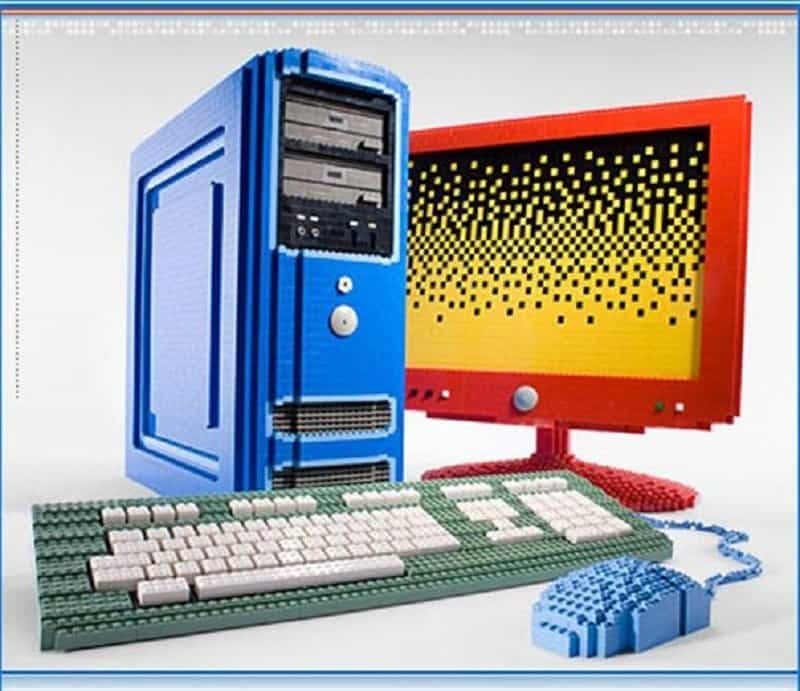 Nathan Sawaya created the personal computer Lego model for PC Magazine. 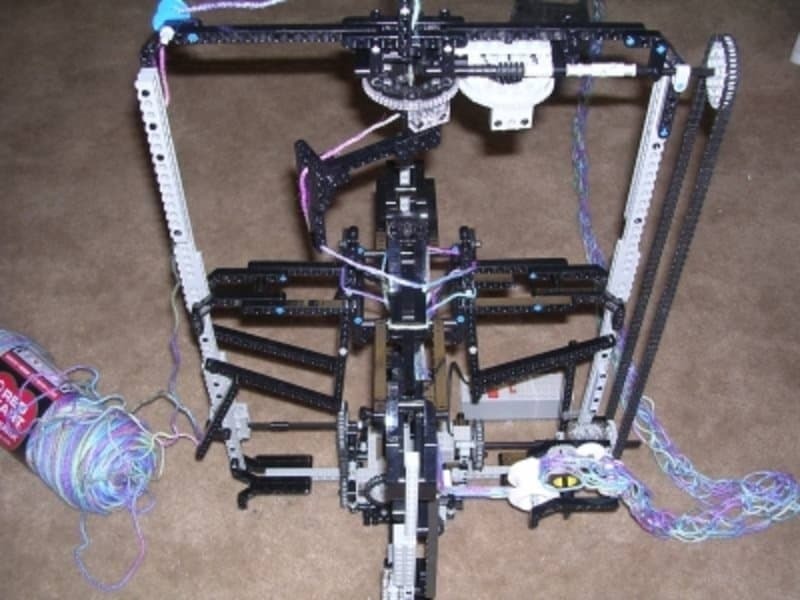 The fully functional knitting machine was created by Lego builder Thomas Johnson. You can use it to create a scarf, sweater and other knitted items. 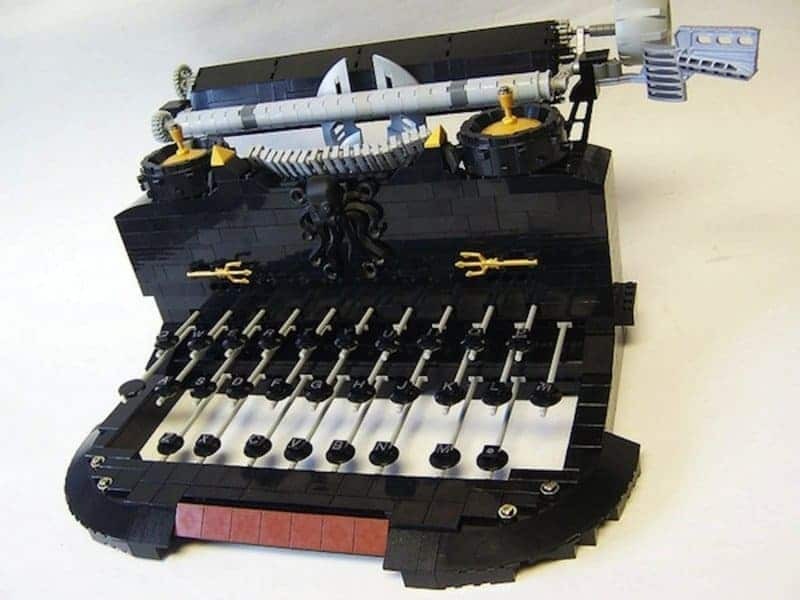 This Steampunk typewriter was created by professional Lego builder Matt Armstrong. 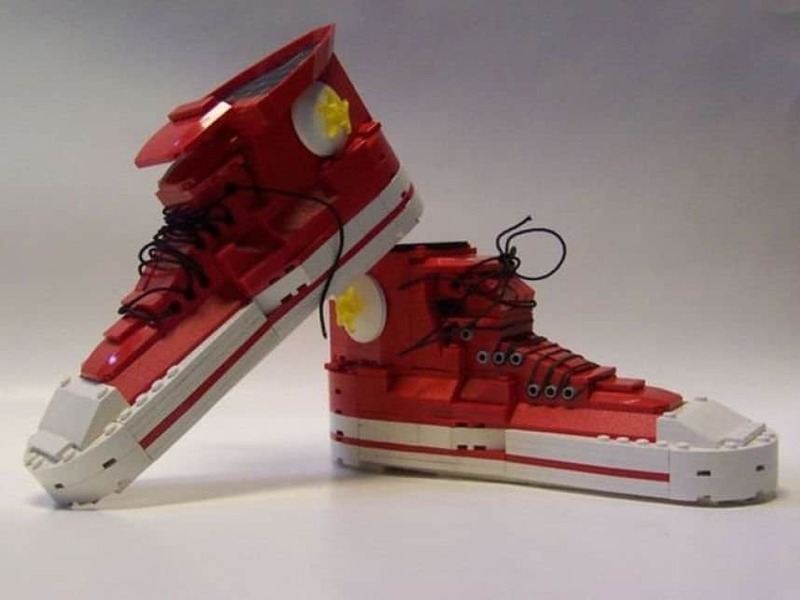 The Chuck Tayler shoes were created using specialized Lego bricks and have added holes to lace up the shoes. 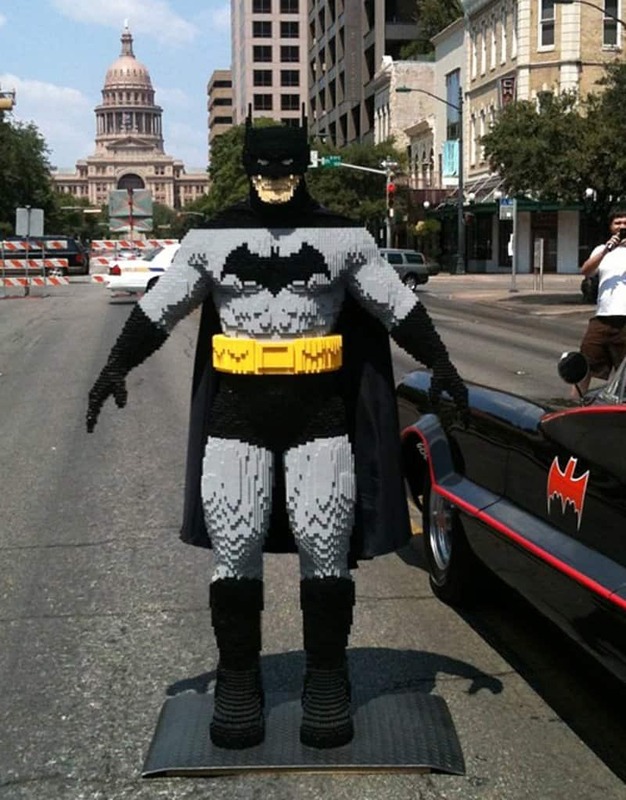 Evan Bacon took three months to build this life size Batman and used over 15,000 Lego bricks. 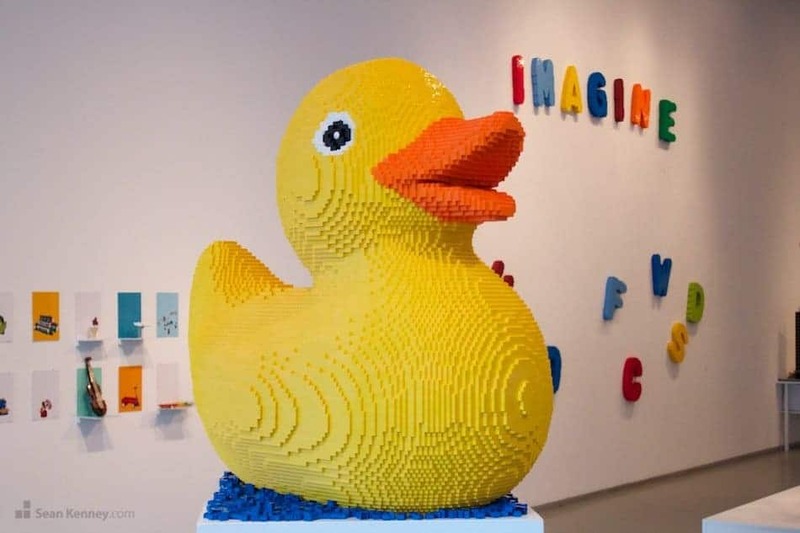 The rubber duck is around four feet tall and was constructed using 23,234 Lego bricks. 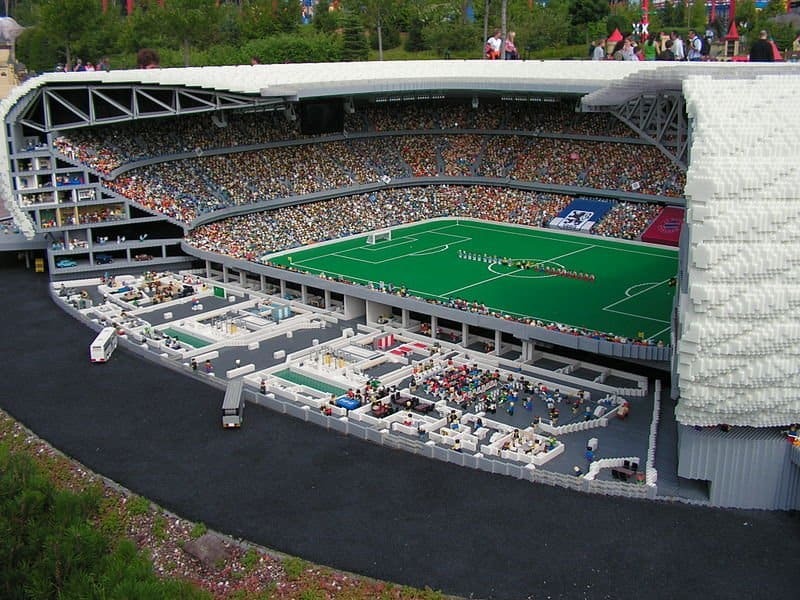 The mini-replica of Allianz Arena is located at Legoland, California. The sculpture is equipped with luxury sports suites, working lights, and thousands of fans.